Jump! 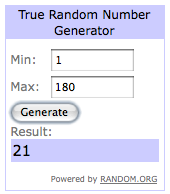 Plus the Etsy Austin swag bag winner! I plan to hit up the local Goodwill on Sunday, and when I return on Tuesday, I'll have a belated Delightful Dozen/ ModCloth post as well as a Weardrobe/ PacSun post. Thanks for your patience with me! Congrats, Stephanie H! I'll mail you your bag as soon as I get back to Austin!